film is also based on the controversy which attracted the media most which happened some years back. Anu Kapoor is playing the lead in the film and is much anticipated as this film is based on the real incident. While shooting in the village, director Girish Juneja faced a lot of problems, but he didn’t stop and moved, facing the problems which sometimes people and sometimes authority of the village created. But once the people and authority realized, they even helped the whole cast and crew in making of the film. 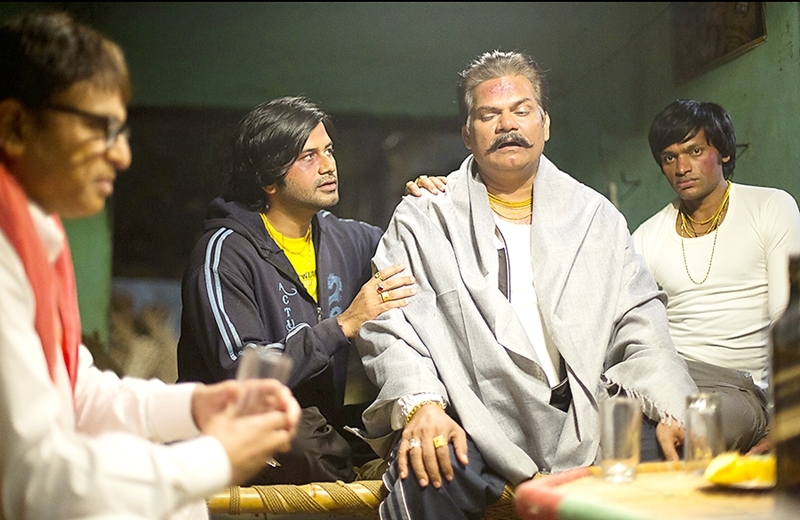 With an ensemble star cast of Annu Kapoor, Akhilendra Mishra, Pankaj Beri, Govind Pandey, Deepak Verma, Tejinder, Kamlesh Gill, Manoj Bakshi and others, ‘MUAVZA’ meaning compensation, is produced by Jagdish Gupta under the banner of Jagson Entertainment Company and directed & written by Girish Juneja. It’s music is by Upmanyu Bhanot, Editor is Sanjay Sankla while creative director is Aslam Khan. Under the able guidance of Chairman Mr. Jagdish P. Gupta, Jagson Entertainment Company believes in progressive and entertaining cinema.